Join the Health Ministry for our first group walk on Wednesday, April 26 at noon…meet at Bicentennial Park (SW corner of Kilgore and Lover’s Lane). No registration is needed and the distance will be determined by the walkers. Also don’t forget the CROP walk on Sunday, April 30. 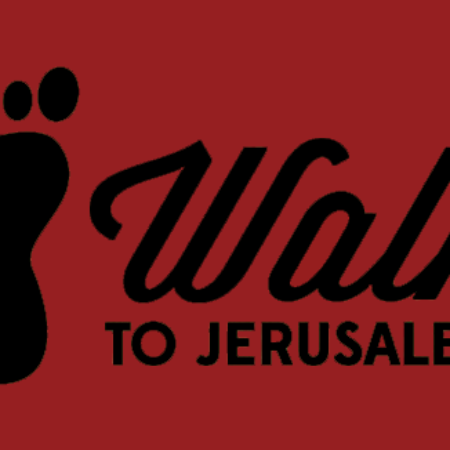 Watch the weekly church announcements for updates, pick up your information packet in the gathering space, and keep your eye on the map in the gathering space to follow our progress as we walk the 3,589 miles from Kalamazoo to Jerusalem!